Author: Reuben D. Thomas. 219 pages, paper back. Published by the author in 2012. 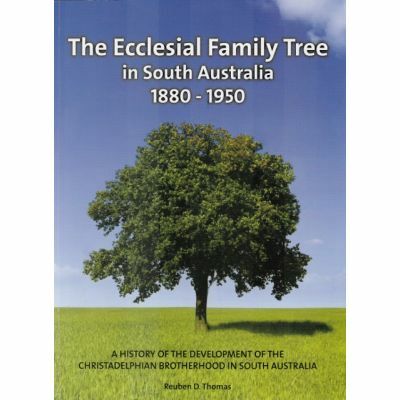 A history of the development of the Christadelphian brotherhood in South Australia from 1880 - 1950. For Christadelphians with association with ecclesias in South Australia this will be a most interesting book. 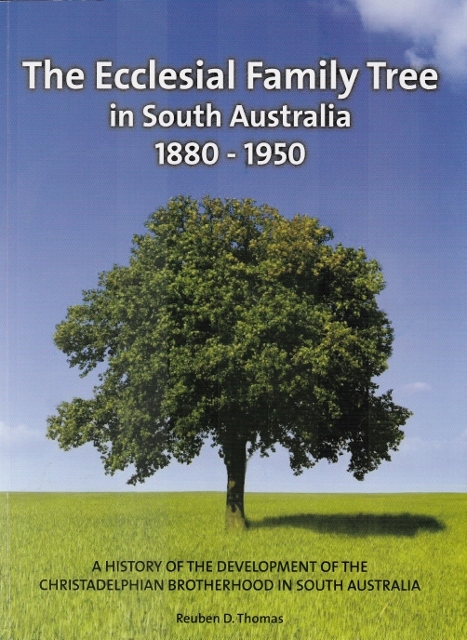 The family tree, in chapter 6, is based on baptism and marriage records of the Adelaide ecclesia, supplemented by many other sources. The tree contains hundreds of names of brothers and sisters. In addition the book contains many photos and descriptions of the truth in places such as Goolwa (on the mouth of the Murray river), Port Elliott, Victor Harbour and Broken Hill. The author welcomes feedback on the book and further information that could be added in a second edition, God Willing. (see the authors note attached). Read Paul Duke's book review.